When you need expert financial advice and banking products, you can count on MidWestOne Bank (formerly Central Bank). First State Bank of Wyoming has been serving Wyoming, Minnesota and the surrounding community since 1914. We are family owned and our management team is proud to carry on the tradition of treating every customer like a neighbor. Customer Service is the #1 priority of every employee. We invite you to stop in to one of our two offices every Friday for coffee & cookies. You understand your business, but you operate in a complex world. Successful business people surround themselves with a team of professionals. A great banker can be your financial sounding board. Another UnCommon way of doing business from an UnCommon Bank. Lake Area Bank is a progressive community bank, dedicated to providing you with a wide range of products and services to meet your changing financial needs. We strive to provide the highest standard of personal service and convenience for you. All of our locations feature full service hours to accommodate your busy schedule; in addition, with our Online Banking product, you can bank when you want, from wherever you want. 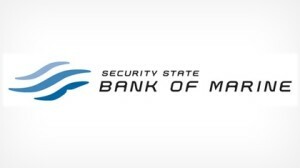 Security State Bank of Marine was established in May of 1919. There are currently four bank branches; Marine on St Croix, Scandia, Chisago Lakes, and Forest Lake. We have been a solid fixture in your community for nearly a century, helping people achieve their goals and realize their dreams. We offer a variety of services for every stage of your life; including Piggy Bank Savers accounts for children, checking and savings accounts for teenagers and adults, IRA’s, internet banking, online bill pay and more. Frandsen Bank & Trust helps individuals and businesses build financial success. We offer personal banking, business banking, trust and investment services. More importantly, we deliver the service and convenience you deserve – online, in person and by phone. We’re proud to be a community-focused bank committed to understanding your financial needs.